This set of four small poster-styled wall/desk calendars contain all 12 months. 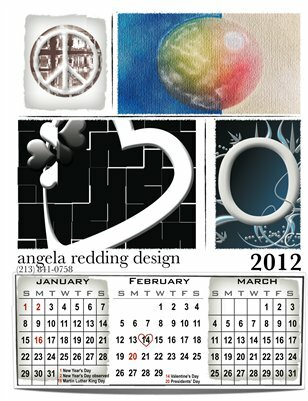 Featured on each tri-month calendar page are angela redding design original illustrations or photographs. Each small poster styled calendar page measures 8.5”x11” and is perfectly sized for a locker, home or small workspace.